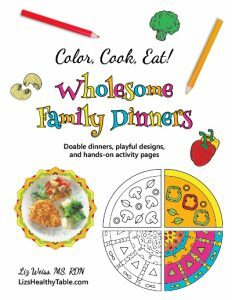 Struggling with picky eaters? 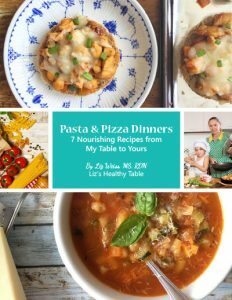 Looking for new ways to add variety, more nutrition, and kid-friendly flavors to every-day meals? Stuck in a snack rut? 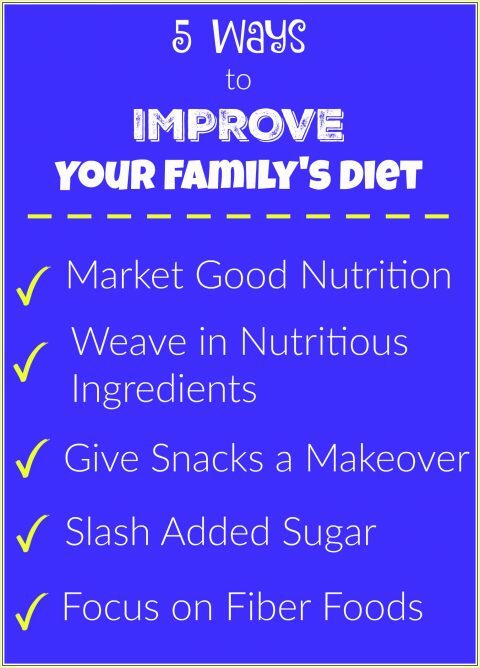 Curious how much added sugar is lurking in your family’s favorite foods? Figuring out how much fiber your family needs for optimal health? 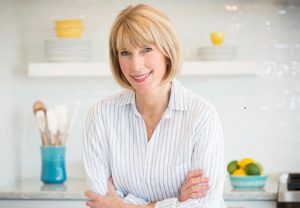 Starting today, I’ll be featuring a 5-part blog series on easy ways to improve your family’s diet with the goal of taking it from ho hum to delicious and nutritious. 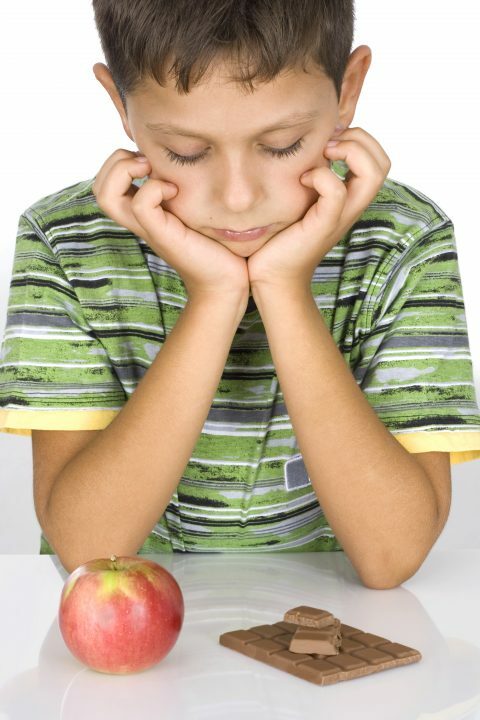 Most U.S. kids don’t eat the recommended 2½ to 6½ cups of fruits and vegetables each day. They don’t eat enough whole grains and they consume more than the recommended maximum daily intake of sodium. 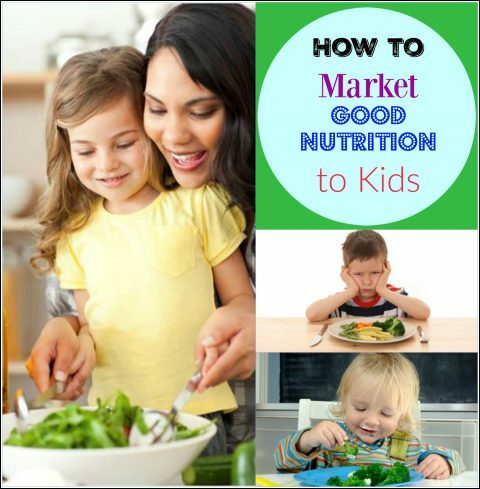 As a result, according to national nutrition surveys, children 2 years and older fall short on vitamins A, D, E, and C as well as folate, calcium, magnesium, potassium and fiber. Would kids’ health benefit from eating better? Heck yes! And that’s where clever marketing on the part of parents and caregivers fits in. 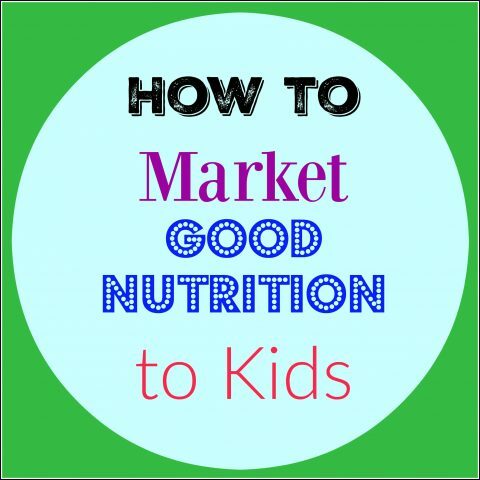 By marketing good nutrition to kids, you can overcome the nutrient shortfalls in a child’s diet and turn your picky eater into a power eater. Let’s tackle five ways you can do that. 1. Make healthy foods highly accessible and attractive: Kids are more likely to eat fruits and vegetables when they’re cut into fun shapes and presented in playful ways. From fresh berries used as a “decoration” for a smoothie bowl topping to a Halloween Skeleton made with vegetables, a dash of creativity can really spark a child’s interest. And if you serve fruits and veggies at the start of the meal when kids are hungry, they’ll be more willing to take a few bites too. 2. Pair new items with old standbys to take the intimidation factor out of trying something new: For example, top a new soup recipe with whole grain Goldfish® crackers or crushed whole grain tortilla chips; offer hummus or another favorite dip with a crunchy new vegetable; or create a sandwich with one slice of white bread and one slice of whole wheat. 4. Self-serve meals versus pre-plating: When the dinner bell rings at your house, do you plate up everyone’s meal or do you serve dinner on platters and in bowls for everyone to serve themselves? Doing the latter gives kids more control over what and how much their tummies want to eat. And it offers an opportunity for role modeling too. 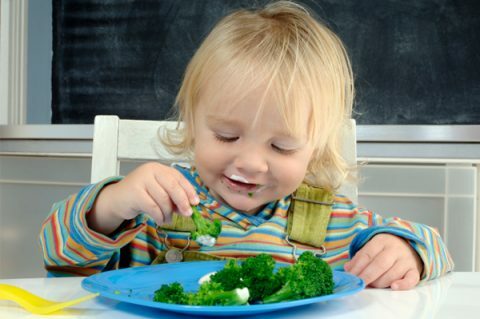 When little Johnny sees his big sister serving herself spoonfuls of broccoli, he’s more likely to follow her lead. 5. 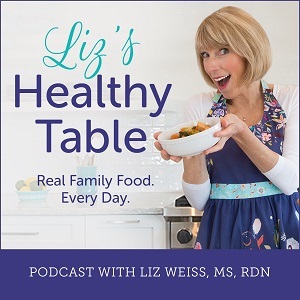 Have kids help with meal planning and preparation: Every time I ask the moms and dads in my online community for their best tip for getting their kids to try new foods, “getting kids involved in meal prep” comes out on top. Children take more interest in mealtime when they’re part of the process, so enlist them to help with everything from picking out a recipe and grocery shopping to chopping veggies and adding herbs and spices to the recipe. You’re in the the Driver’s Seat! Job #1: Parents get to decide what the family will eat, when they will eat, and where they will eat and the children get to decide how much to eat. Job #2: Give children ample opportunity and time to like new foods. 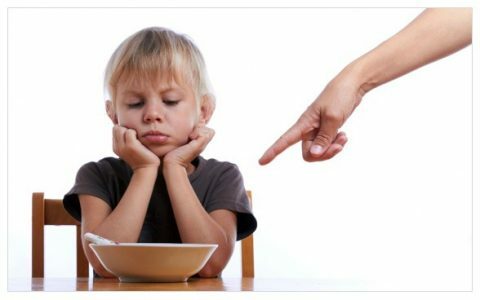 Job #3: Don’t pressure kids to try new foods (they’ll eat less when pressured), and never withhold foods (kids may eat more when they feel food is scarce). Stop by later this week for Part #2 of my series: Weave One (or more!) Nutrient-Rich Ingredient into Everything you Make. Looking forward to this series! This is a great start. We’re doing 1, 2, 3 and 5. but I would love to try 4. My youngest tends to eat too big of a snack in the afternoon, which is another problem, but then seems not too hungry at dinner. Maybe giving her more control over what goes on her plate will help her choose to eat a healthier dinner. Thanks for the inspiration. What a great series! Love – and agree – with all these tips. I myself have a hard time with #4 – my girls tend to take too much and one of them will eat it all even when it is really too much for her b/c she has not learned her fullness cues yet.